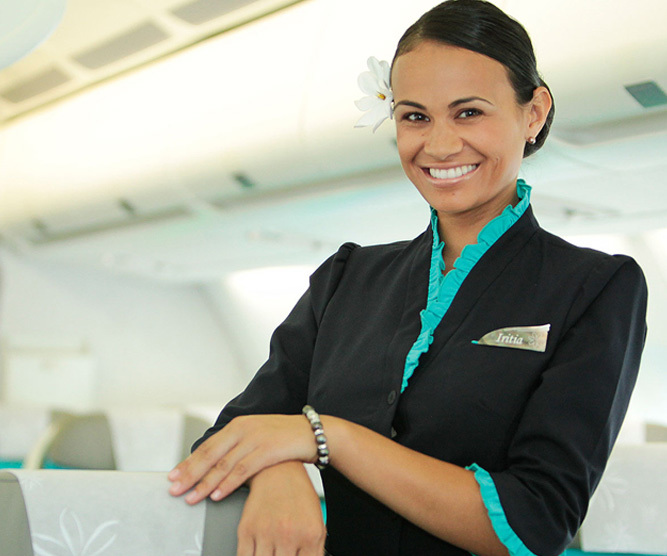 Our fresh and dynamic crew make our passengers feel like they are already in Tahiti as soon as they step on board. The smile and generosity of our teams, the elegant and refined design of the cabins, the sound of ukulele, and the fragrance of the Tiare flower that is offered with our traditional «Maeva», the Tahitian word for welcome, are some of the tokens of friendliness that we extend. They demonstrate the human and uniquely Tahitian part of our character. Oral histories recounted in beautiful song and fire-lit dance connect us to our past. 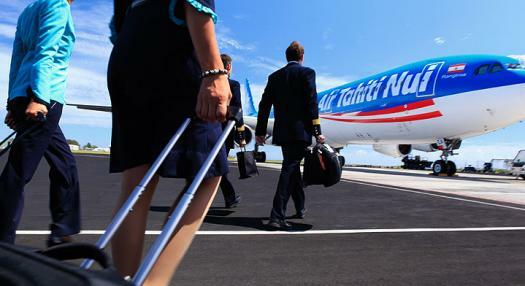 Air Tahiti Nui connects the rest of the world to Tahiti. 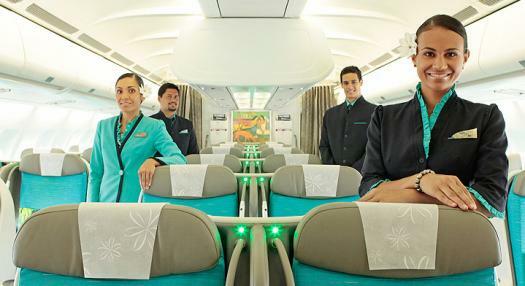 Air Tahiti Nui has been selected as one of the "World's Best" international airlines by readers of Travel +Leisure in 2011, 2010 and 2008 and as Best Airline in the South Pacific of 2011, 2012, 2015, 2016, and 2018 by readers of Global Traveler. When you step on board Air Tahiti Nui, you'll be transported to the charm of the French Polynesian islands. Our cabins create a relaxing environment reflecting the culture, allure and natural splendor of Polynesia. The cabins' colors evoke the sensations you'll experience when arriving in Tahiti: the warmth of the woods, the intensity of the ocean and lagoons, the luminosity of the islands, and the freshness of the lush foliage. It's our pleasure to extend our traditional Tahitian hospitality to make you feel welcome and at home and in Tahiti when you fly with us. Air Tahiti Nui exclusively operates one of the youngest fleets of Airbus A340-300 aircraft in the world, rated as the quietest in the sky with added spaciousness and comfort in all classes. delivered by the International Air Transport Association. This registration, renewed every two years, verifies that all procedures are deemed indispensable in terms of flight safety. We also factor in the specifics of operating in the US in terms of safety, freight, immigration procedures and assistance to reduced mobility passengers. Air Tahiti Nui benefits from Lufthansa Technik Industry's expertise in maintenance program design and works exclusively with specialists approved by the European Aviation Safety Agency (EASA).